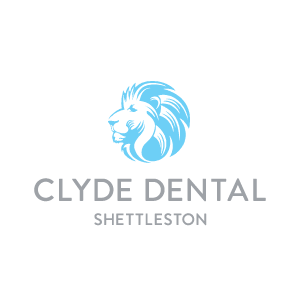 Clyde Dental Shettleston offers friendly dentistry in the heart of Glasgow East. Our team will not only give you a warm welcome, they are also highly skilled to provide exceptional dental care in your community. 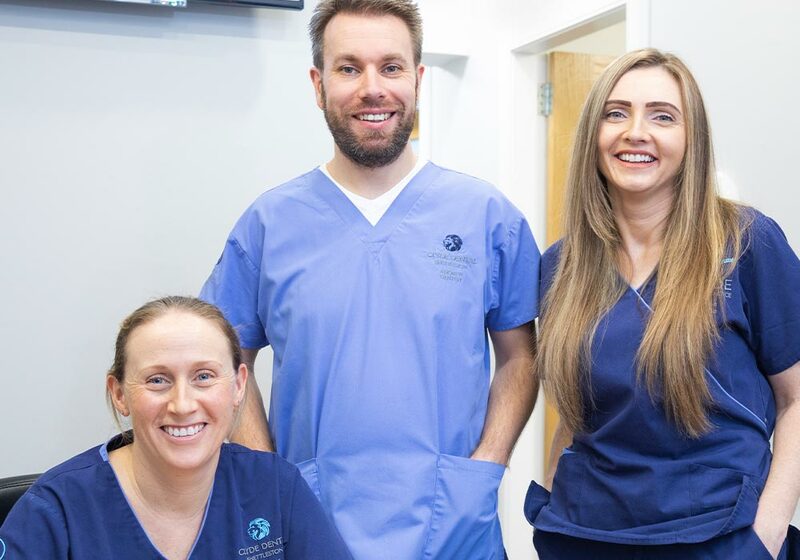 Our team at Clyde Dental Shettleston are able to provide all aspects of general and cosmetic dentistry with a range of services including orthodontics, crowns, veneers, bridges, teeth whitening and hygiene services. Our resident dentists are highly trained and experienced to offer a patient-centred and evidence-based approach to dentistry. All our dentists are committed to you and your care and will provide treatment based entirely around your needs. They have skills to help nervous patients overcome anxiety, so you can be sure of a warm, friendly welcome to put you at ease every time you visit. Whether you’re in pain, need help maintaining your oral health or would like your smile to sparkle for a special upcoming event, we can provide the treatment that you need. Our dental team will always listen to your concerns and build a treatment plan tailored exactly to your wishes and desires. We will always work with you to help you achieve the best dental health possible in order that your teeth can potentially last a lifetime. We have an ethos of preventive care and we are as minimally invasive as possible, preferring to maintain and enhance the natural beauty of your own teeth at all times. We are able and happy to accept new patients in Glasgow East either under NHS or private care. If you’re looking for a new dentist, just call 0141 778 9290 to make an appointment with our friendly reception team. Brought up in Aberdeen, Andrew completed his pharmacy degree in 2002 before moving to Edinburgh/Carlisle to work as a pharmacist for five years. Andrew then studied dentistry in Glasgow, graduating in 2013, and has worked in general practice in or around Glasgow ever since. Andrew has been with the Shettleston Practice since January 2017. Graham graduated from Glasgow University in 2016 and worked in North Ayrshire for a year before joining the Clyde Munro team at the Shettleston and Helensburgh Branches. Graham is currently undertaking further examinations to become a member of the Royal College of Physicians & Surgeons of Glasgow. Graham has also recently trained in providing Invisalign for his patients – allowing the discreet straightening of smiles! What Graham loves most about his job is making his patients feel at home in the chair and being fully equipped to make the best decision for their smile. He loves the journey of patients towards dental happiness and confidence. Giving back is also extremely important to Graham and he has previously completed a dental humanitarian project in Uganda and is going to Malawi to participate in Smilewali – a worthy cause tackling dental needs. Outside of the clinic, Graham has a passion for seeing the world, or as much of it as possible. He also takes the time to focus on his fitness and is a regular gym goer. Graham also enjoys an odd pub quiz to keep everything in moderation! Lynette started her training in the Shettleston practice in 1997 and qualified in June 1999 with the National Certificate in Dental Nursing. She enjoys working in Clyde Dental Shettleston as all the staff get along really well together. She hopes this creates a nice and relaxed atmosphere for our patients. Outside of work, Lynette is kept very busy with her little girl and enjoys spending quality time with her family and friends. Nicola started working as a dental nurse in 2000, qualified in 2003 and gained NVQ Level 3 in Oral Healthcare: Dental Nursing. She started her training in 2000 in this practice and she enjoys dental nursing because it offers different challenges every day. Outside work, she is busy keeping her little girl entertained, and enjoys spending time with her family. Heather started training in June 2015 and is currently working to achieve SQA Level 3 in Dental Nursing; she is really enjoying the training and learning about dentistry, improving her skills every day. Her interests outside of work are dancing and socialising with friends and family. Located on Shettleston Road (A89), Shettleston, we are easily accessible for all modes of transport. There is a large supermarket nearby, so if you come to us by car this provides easy parking if you need to pop in for some essentials after your appointment. We are within walking distance from Shettleston rail station and we are also easily accessible by the following bus routes: 310, N2, N60, 46, SimpliCITY 6, 60 and 60A.